Heinrich “Gaudi” Krafft was born on 13 August 1914 at Bilin in Böhmen. He joined the army and served with Infanterieregiment 9 before transferring to the Luftwaffe in 1936. In 1939, Krafft was serving with JG 51. Oberleutnant Krafft was assigned to 3./JG 51. He claimed his first victories during the French campaign, when he shot down two RAF Hurricane fighters near Rotterdam on 11 May 1940. He was wounded in aerial combat during May, which resulted in his being out of action for a considerable period. Krafft had four victories to his credit at the time. Krafft was appointed Staffelkapitän of 3./JG 51 on 11 November 1940 and led the unit for the invasion of Russia. On the first day of the campaign, 22 June 1941, Krafft shot down four Russian aircraft to record his fifth through ninth victories. He recorded his 10th victory on 29 June when he shot down a Russian I-16 fighter. On 31 August he claimed three DB-3 twin-engined bombers (16-18). His 20th victory was achieved on 4 October when he claimed another I-16 shot down. On 6 December, Krafft shot down three enemy aircraft to record his 29th through 31st victories. By the end of 1941, he had increased his victory total to 34. On 17 February 1942, Krafft shot down a Russian I-61 fighter to record his 40th victory.  Oberleutnant Krafft was awarded the Deutsches Kreuz on 25 January 1942 and the Ritterkreuz on 18 March 1942 for 48 victories recorded in over 300 missions. On 1 June 1942, Hauptmann Krafft was appointed Gruppenkommandeur of I./JG 51 after Hauptmann Josef Fözö (27 victories, RK) was injured in a landing accident the previous day. In August 1942, I./JG 51 transferred to Jesau for conversion to the Fw 190 A-2 and A-3, returning to action on 6 September as the first unit to introduce the new fighter on the Eastern Front. Shortly afterwards, I./JG 51 was transferred to the Leningrad sector as the Russians attempted to lift the siege of the city. Krafft claimed his 60th victory on 30 September. Krafft was shot down by Russian Flak in Fw 190 A-3 “Black <<” (W.Nr. 130 539) south of Belyi on 14 December 1942. He survived the crash-landing but was beaten to death by Russian soldiers. 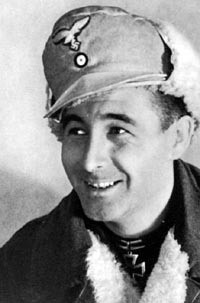 Heinrich “Gaudi” Krafft flew a total of 350 missions and claimed 78 victories, all but four on the Eastern Front, including at least nine Il-2 Sturmoviks.